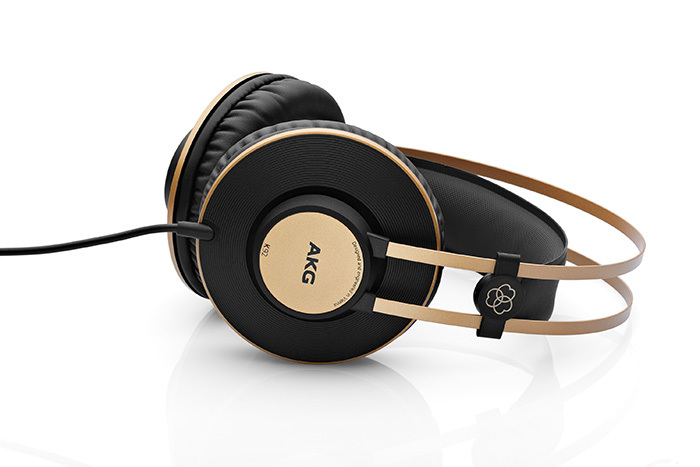 Among stylish monitor headphones there is a novelty appeared – 40 mm AKG K92 – device with 16 Hz – 22 kHz sounds frequencies playback support, 113 dB/mW sensitivity, professional Amplitude Frequency Characteristic ( with high equalization of volumes of different sounds frequencies ) and closed back architecture. Their impedance is 32 Ohms, maximal input power 200 mW; cable with 3 m length is attached to only one of the cups and is not detachable, it is connected to sound source via 1/8″ mini jack connector with gold-plated contacts. Earspads are made from leatherette and can be replaced, if needed. AKG K92 have automatic adjustments mechanism for different sizes of heads of different users and are released only in matte black color variant. Headphones mass is 200 g, they are not foldable. Package with AKG K92 contains : screw-on adapter to 1/4″ jack plug also with gold-plated contacts, warranty card and user’s guide. All in all, headphones are professional : they have wide audio frequencies playback support, as manufacturer tells, high equality of AFC, high sensitivity and stylish look. 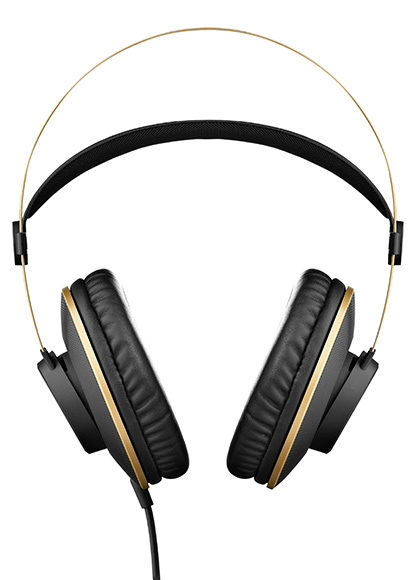 Their price is around 80 USD – it is not high for their functions; however, there is need to note, that for much smaller sum there is ability to buy 40 mm monitor headphones with similar characteristics or for the same amount of money – 50 mm monitor headphones, providing better basses reproduction support.